Walter Jacobson caught the Cubs bug in 1945 when he was 8 years old listening to the World Series on the radio with his mother, and it soon entered his bloodstream. By the time he was ten years old, he was taking the “L” to the ballpark to watch his beloved team. When he was 15 he wrote a personal letter to Phillip K. Wrigley asking if he could become the batboy. 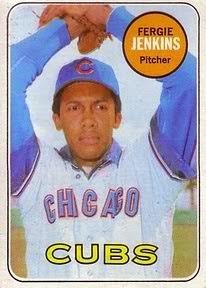 Wrigley hired him, allowing him to work 11 hours a day for $1.50 a day. Mike Royko, who became Jacobson’s rival when they covered the same beat, used to make fun of Walter because he occasionally complained about those bat boy days; about players throwing underwear at him or making him chew tobacco until he vomited. But fellow Cub fan Royko was probably jealous. Those Cubs of the early 1950s were his heroes too. They say that being a reporter is in your blood. That may true, but for Walter Jacobson, his reporter blood is Cubbie Blue.